If you ever felt you wanted to incorporate or test-drive eLearning in your training organisation but held back through concerns over its applicability in a face-to-face environment then this article is for you. 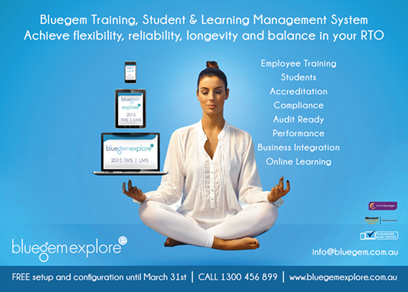 Bluegem ALERT is a complete LMS for Fire and Emergency Training Management. It is the latest edition in the Bluegem product suite of LMS solutions. ALERT is everything you expect in an enterprise Learning Management System, PLUS all the features and capabilities you expect in an LMS designed for firefighting and emergency services. "Online training doesn't work in our industry. Just a waste of time. How do you expect people to learn how to be a bricklayer watching cartoons on their iPad. Face to face training is the only thing that works."